Cascade Cottons downtown on Wall St is celebrating its 11th year of doing business with locals and tourists alike who hope to take home a piece of what makes Central Oregon so special. 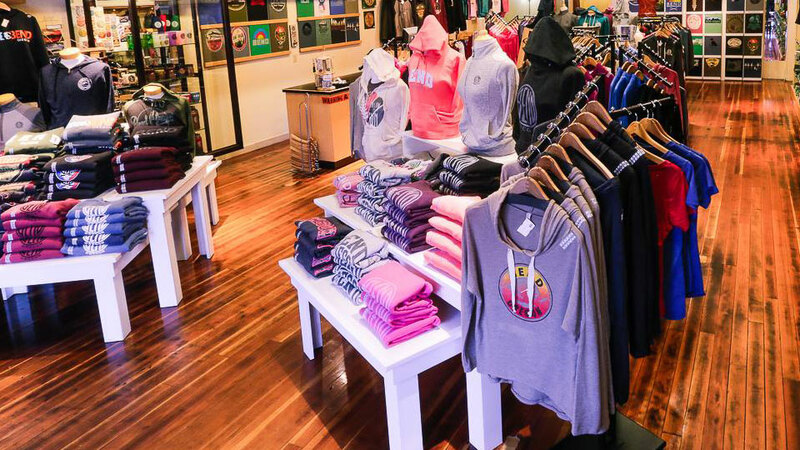 “The Bend Shop” is bigger than ever and offers a wide variety of apparel and gear to help you remember your visit to Bend, or to remind you every day that Bend is pretty great. With a wide selection for adults and kids, Cascade Cottons has a virtually endless variety of t-shirts, sweatshirts, athletic apparel and hats. Themes range from simply promoting Bend’s logo to showcasing the outdoors, lifestyle, beverages, dogs and camping that attract people. Walking in the door reveals a rainbow of colors and enough styles to suit anyone’s taste and fashion sense, not to mention their accessories like locally-made Silipints, branded Hydroflasks, magnets, buttons and more. From souvenirs to gifts to a style statement, Cascade Cottons has Bend covered.